Based in West Yorkshire, Charles Cleaning Solutions specialise in Domestic and Commercial cleaning. We cover interior and exterior work and our services are tailored to meet the clients demands. With experienced staff we offer the highest standards within the market using the best products and tools available. 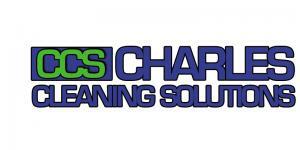 Charles Cleaning Solutions is a fully insured company with staff who have been reference checked. We also have registered, responsible key holders so you have no need to worry if you're not around when the cleaner arrives. Upon request we can also provide our insurance certificate for your peace of mind. At CCS we provide excellent prices but never lower our standards, leaving all our clients more than happy with the service we have provided and continue to provide.